Perfetti van Melle is promoting Mentos Sour Marbels as “intolerably sour” in this new print advertising campaign from India. 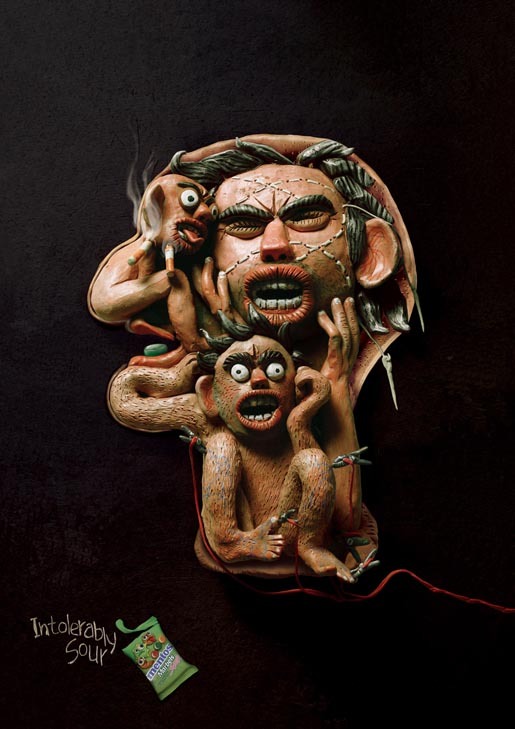 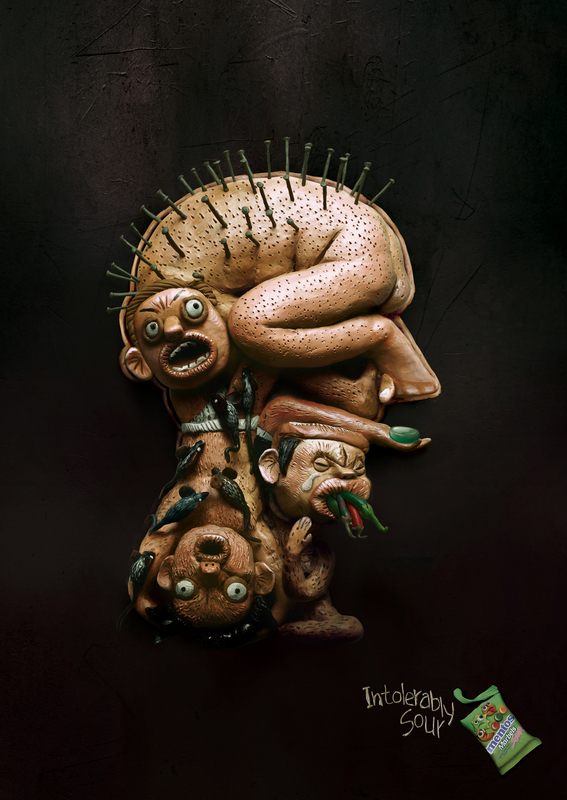 Clay sculptures show heads each containing three characters contorted with pain. 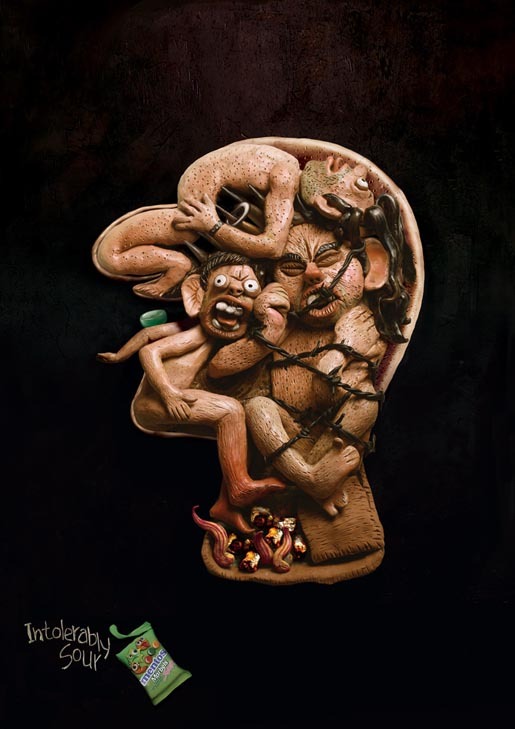 The Sour Marbels heads campaign was developed at Ogilvy & Mather, Mumbai, by national creative directors Abhijit Avasthi, Rajiv Rao, creative director Priti Arora, art directors Priti Arora, Deelip Khomane, copywriter Tushar Pal, account director Antara Suri, illustrator/retoucher Deelip Khomane and retoucher Rajesh Salodkar.